Ang Weddings and Events has been named a Top Wedding Planner by Martha Stewart Weddings, one of the best wedding planners in America by Brides, interviewed as a planning expert by The Knot, a New York Magazine Weddings Editor's Pick since 2012, a member of Style Me Pretty's Little Black Book since 2012 and a recipient of Wedding Wire Couples' Choice Awards for six years. Tzo Ai is amazing! I feel incredibly lucky to have worked with Tzo Ai planning our November wedding. So many people told us, "this was the BEST wedding I've ever been to", and we owe it all to Tzo Ai and her team. Tzo Ai responds to emails within minutes, and seems to handle even the most delicate situations with grace and poise. She is highly organized, calm, professional, has exquisite taste and fantastic relationships with the best vendors in the New York area. We are so grateful to her - she gave us the best night of our lives! Tzo Ai was beyond incredible to work with for our wedding at Cipriani Broadway. She is super organized, responds to our emails within minutes, and was extremely reliable. Throughout the process, she remained so calm, professional and supportive. She was constantly two steps ahead, thinking of every detail and was so helpful in the decision making process. Hiring Tzo Ai was the best decision we made surrounding our wedding. She connected us with some of the best vendors in New York City and everyone was such a joy to work with. She made the process so much less stressful and I trusted her so much that I didn't worry about a thing on my wedding day. I couldn't be more grateful for her help and expertise. On the actual day of the wedding, she ran back and forth from the bridal and grooms suite, and the venue, and did an incredible job coordinating between all of the vendors. From orchestrating photography and logistics at my hotel to overseeing the set up of everything at the venue, she was unbelievable. Thank you doesn't seem like enough to express how grateful I truly feel to have worked with her. Highly Recommend Tzo Ai for Brides & Grooms to be! Tzo Ai was incredible to work with for our wedding at Blue Hill at Stone Barns. She was involved in a lot of the decision-making leading up to the wedding, and her experience at the venue was able to shine. She was able to focus on all the nuances that as a bride, you don't know until you know, and you wouldn't necessarily know to ask. Those little nuggets of wisdom can't be found in any event planning blog or book. Tzo Ai is incredibly responsive and reliable. I was never left waiting or wondering if something would get done or if my email was read. Working with her was always operating ahead of schedule! She's incredibly professional, kind, and is able to manage all the crazy with aplomb. Tzo Ai is the epitome of grace, efficiency, and elegance. We had a splendid evening at our vow renewal ceremony and reception , thanks to her meticulous and cheerful attention to thousands of details. From the aesthetics to the finances, Tzo Ai's taste and efficiency is unequalled. Behind the scenes, she took care of every vendor, and her contacts are professional and highly skilled. We are very grateful! My husband marveled at how fluid the evening flowed thanks to Tzo Ai's guiding hand! Tzo Ai: Thank you seems insufficient to express how grateful I am.You are truly talented and thanks to your expert planning, the process and the event were joyful rather than stressful. This is truly the material that dreams are made of. My husband and I hired Ang Weddings and Events for full planning and it was the best decision we made. Tzo Ai was on a very short timeline - just 4 months!!! We started out thinking we wanted to have two separate events, a very small, intimate ceremony and a large celebration at a later date. However, we quickly realized that we wanted to go the traditional route. Tzo Ai pivoted so quickly and had everything under control right away. This pivot also let us have the wedding at an incredibly beautiful venue that wasn't available during the original dates. Tzo Ai executed everything flawlessly despite the fact that we both travel a lot and lived in different cities. The entire process was seamless, from venue scouting to getting everyone there day of. Tzo Ai made the vendor selection process super easy by presenting us with some options that she thought would work best based on our vision and they were always on point. We were so happy with the vendors we worked with and we could tell that Tzo Ai has an amazing network because of the relationships she's built with them all! I am a very hands on person with everything, but bringing Tzo Ai on board allowed me to relax and enjoy being a bride. Not once was a stressed out about something related to wedding planning because I always knew that Tzo Ai was on it. She is so organized, professional, graceful, and the list goes on! Our wedding day was so fun and beautiful. It truly was the best day of our lives and I wish we could do it all over again. 100% recommend Ang Weddings and Events if want all your wedding dreams to come true! 5 Stars simply doesn't do Tzo Ai & Ang Wedding and Events justice! After deciding to get married, Tzo Ai was the second greatest decision we made. After getting engaged in June of '16 we knew that we wanted to have a fall wedding in NYC. Tzo Ai is more then a planner, she's a friend! Without her we would not have been able to fulfill our dream wedding. Tzo Ai is meticulous, organized, thoughtful, helpful, and extremely even tempered. It's been said that Wedding's can be stressful, Tzo Ai was our bedrock throughout all decisions. Her network and contacts afforded us access, opportunity, and diversity to help create our dream day. From Venue Location, Flowers, Food, Cake, Music, Invitations, and Transportation, to every nuance and moving part of our wedding, Tzo Ai allowed us to enjoy the process more then we could have ever dreamed of. When making big decisions she was able to share her insight, design prowess, and objective thoughts, allowing us to make decisions that were best for us! The amount of time, effort, communication, and emails that Tzo Ai championed for our wedding is almost unimaginable. She was incredibly responsive to all communication and seemingly at any time of the day! Emails were received and responded to with what can only be described as light speed. She was an excellent proxy to all of our vendors throughout our entire engagement. Without a doubt, Tzo Ai saved us countless hours hours of stress, angst, and money. Tzo Ai and her team on the day of the wedding were simply impeccable! Everyone's friends, family, and bridal party received (weeks before) detailed information on the day of from Tzo Ai which was executed to perfection. The day of can be stressful for every family, and Tzo Ai afforded us peace of mind, top notch service, and wonderful memories. With every behind the scenes issue, Tzo Ai immediately had a solution. We couldn't recommend someone more highly then Tzo Ai and her team at Ang Wedding and Events, simply the best! Tzo Ai was absolutely amazing!! She made everything so easy and fun. I was calm, cool, and collected the whole process because she did EVERYTHING... and did it flawlessly! Tzo Ai is the absolute best! The ease to with which she made the whole wedding process was exceptional. My husband and I were living out of state trying to plan a wedding which would have been impossible if we didn't have Tzo Ai. She broke down the whole wedding planning process into manageable tasks so it never felt overwhelming. She was always easily accessible if me, my mother, or my husband needed anything whether it be advice or a question. Tzo Ai is also such a kind person and unbelievably patient. It was the absolute best having her and her assistants there on our wedding day at the venue in charge of managing everything behind the scenes. This enabled my husband and I to really enjoy our wedding day stress-free. If you're thinking oh I can totally plan a wedding by myself, don't fool yourself, just hire Tzo Ai! Trust me you won't be disappointed! Tzo Ai Ang is an absolute ninja and incredible person to plan your wedding. She is beyond organized, detail oriented, and really listens to your vision for the wedding. I originally tried to plan the wedding on my own, and after 15+ venues, realized I needed professional help. She helped me narrow down all future vendors by providing several choices via email and then setting up in-person meeting with only a few partners. I struggled with the creative vision, and she helped me articulate how I wanted the room to look night-of. She also found our band, which was not owned by a major company. I was extremely hesitant to hire a band I had not heard, but Tzo Ai convinced me (10+ conversations later) that they were amazing and she was right! We got so many compliments on them - particularly the lead vocalist! She also managed the different opinions of the group in a professional manner, providing quick solutions and deftly handling generational conflicts with ease. Day of, Tzo Ai and her team brought their A game. They were somehow everywhere at once, making sure that if something went wrong I did not notice it. I could not recommend her more! Tzo Ai was the second wedding decision we made, after booking our venue, and she was absolutely amazing. She was a pleasure to work with, "She has nerves of steel," my fiancé said. She is gentle, kind, super professional and organized and every single vendor she suggested was top notch. We could not have imagined planning our wedding without her. She was invaluable. Engaging Ang Weddings and Events was undoubtedly the best decision we made for our wedding. We planned our wedding over the course of one-and-a-half years and have had the privilege of getting to know Tzo Ai both as a professional and as a person. As an event planner, her process was creative, nuanced, sophisticated and highly tailored. Before the actual planning process started, Tzo Ai took a lot of time to understand who we are as a couple -- our dreams and aspirations, our artistic and musical tastes, our temperament. As we moved into the main planning phase, she gave us a vast selection of vendors from her portfolio, but helped us narrow them down to the few that she felt might suit us best. Her approach was always well thought out and balanced, taking into account our likes, budget, and the overall fit for the wedding. She had an incredible ability to understand and navigate our concerns and priorities, and then help us find our perfect solution. When we got into the details of the wedding, Tzo Ai's ability to weave in colors, textures, music, and etiquette speaks to her great imagination and taste. For example, we selected a pink, white, and grey palate, but she brought fresh pops of color into the floral designs and suggested whimsical, personal accents to the cake, favors, and paperie that kept our wedding elegant and tasteful yet modern and fun. The final design, we thought...was simply just us. Needless to say, as many other couples have noted, as an individual, Tzo Ai was always highly organized and meticulous in crafting the next steps in our planning. She never missed a beat! However, perhaps more importantly, she is always warm and caring, allowing us to share our thoughts with her and making us feel that she was always "on our side." We cannot begin to convey how reassured we felt that we had her help and support throughout the process. On our wedding day, Tzo Ai and her team made sure that every single detail was cared for with precision, efficiency, and warmth. Our friends and family commented endlessly on how wonderfully thoughtful and seamless the team was. Although we knew that Tzo Ai and her team had intricate plans for the logistics of the event and space -- timing vendors, collaborating with hotel staff, re-setting spaces, ensuring that we stayed on schedule -- we were happily oblivious and just felt like we had the perfect wedding day! We were truly able to enjoy our wedding from beginning to end. From the carefully laid out invitations to the impeccably presented wedding dress to the laughs we shared with Tzo Ai before our ceremony, we felt so thankful and lucky to have Tzo Ai with us on our special day. We would recommend Tzo Ai and her team without reservation, and would encourage anyone to reach out to us if they have questions! Tzo Ai was an absolute dream to work with, and working with her was, by far, the best decision we made for our wedding. I could not recommend her more. Our venue had a wedding coordinator so we originally thought we only need a day-of/ month-of coordinator for our wedding. Luckily, our photographer was honest with us and said that we would enjoy our day more if we hired a planner. She suggested a short list of planners, including Tzo Ai, who she later said is "the hardest working person she knows". After planning a large (315 person) wedding, I agree completely. Tzo Ai was everything you could want in a planner--organized, supportive, responsive, experienced, and had great attention-to-detail, an incredible eye for design and wonderful taste. She is also an exceptional person with a warm, friendly, calming demeanor, and because of that, was an absolute joy to work with. We had a 10.5 month engagement, and hired Tzo Ai with about 9 months to go. We did her "Partial Planning" package because we had already found a venue and hired a few other vendors when we engaged her. However, the services she offered were far beyond partial. My fiance, mom and I remarked on several occasions that we weren't sure what we would have done without her! She jumped in from the start, reviewing contracts and seamlessly fixing any design or timing flaws with our vendors. When hiring new vendors, she was incredibly knowledgeable and supportive, but never obtrusive. She allowed our vision to guide the process, and was always there nurturing and improving it using her experience and eye-for-design. Our wedding was the best day of our lives. We were able to completely relax and enjoy ourselves because we knew we were in good hands. Everyone told us that things wouldn't go as planned on our wedding day, but not to let the perfect be the enemy of the good. Well, everything actually was perfect--all thanks to Tzo Ai! “Perfectly executed”, “meticulous”, “every detail thought out”…these were some of the things our guests said to us following our indescribably perfect wedding. While we smile and thank them, we know who was responsible for the flawless execution…Tzo Ai. Hiring Tzo Ai was hands down the best decision we made during the planning process. Tzo Ai is meticulously well organized, and made the entire process virtually stress free (random people: “Oh, you’re planning a wedding, you must be SO stressed out”, me: “No, actually, not at all”). One of the most daunting pieces of the planning process for us was the thought of sifting through the infinite choices for each vendor. Tzo Ai takes this entire piece away, analyzing each of her couple’s unique tastes and recommending a short-list of vendors. She then works with you, ticking through each, setting up meetings and calls, working out budgets, and going over pros and cons until each one is selected. Once selected, she manages schedules and meetings, decision making, budgeting, basically everything, so that you only have to interact with her. One of the things that was amazing about Tzo Ai is that she was so hands on in advising each decision, yet every guest commented that the wedding was so perfectly US. I have to attribute this to the fact that Tzo Ai really listens to her couples and gets a good feel for who they are, and figures out which vendors will best match their style and be able to execute their visions. This is actually not trivial, as many planners seem to have their own specific taste, and while they might throw a beautiful party, the party is more reflective of their style than the couple’s. This is not the case with Tzo Ai…even if your palette or other selections are not what she would choose for herself, she takes her clients’ own dreams and visions and brings them to life perfectly. On the actual wedding day, Tzo Ai transforms into a ninja. She was somehow everywhere at every minute over the course of the day, but never in anyone’s way. My bridal party called her and her team the Wedding Secret Service. Someone’s dress isn’t fitting properly? Tzo Ai has a tool for that! From across the room she sees a thread hanging from my dress? Tzo Ai appears with a little sewing kit to fix the issue! I can’t emphasize enough how much Tzo Ai contributed to making everything about our wedding, from the moment we met her, easy and fun and perfect. In addition to being a total bada$$ about everything, Tzo Ai is SO nice and SO easy to work with. I (like a few other brides, I assume) can be a little bit difficult and get easily frustrated, especially when stressed out. Tzo Ai seems to have infinite patience and was never anything to us but gracious and sweet. By the end of the wedding Tzo Ai managed to serve as not only our planner, but also at times our mother, friend, therapist, etiquette consultant (anyone have a rude Aunt that makes obnoxious comments? Tzo Ai knows how to manage!). I can’t even begin to think about planning a wedding without Tzo Ai at the helm. I’m sad she can’t help manage every part of our lives! Tzo Ai is amazing!! She is incredibly well organized, super well prepared, on top of every small detail, and always professional. She is also such a pleasure to work with - always calm, positive, diplomatic and thoughtful. Our wedding was perfect beyond our wildest dreams, and it's all because of Tzo Ai. She held our hand through the whole process, and we couldn't be happier with the end result!! When we went to her (only six months before the wedding! ), we literally had no idea what we wanted. Tzo Ai took the time to show us many examples of weddings and venues, honestly tell us the pros and cons of each option (e.g. "this is a lovely venue but the lights are such a strange color that the photos always turn out funny"), and so help us figure out what our preferences were. We ended up loving a venue which we hadn't even wanted to consider at first! Tzo Ai also made the whole vendor selection process very easy, giving us several options for each, again along with her honest opinions. When we were not happy with any of the options, she took our feedback and came back with more options until we found one we were thrilled about. She didn't let us ever settle! She took care of liaising with all the vendors, and also came to all the meetings and contributed to the discussion. She was also very good at keeping track of what needs to be done when, and sent us many follow-ups and reminders without ever being annoying or nag-gy. Tzo Ai also handled the day-of coordination perfectly. She was super prepared, and sent us many schedules and lists and master lists well in advance. All we had to do was follow the instructions! Everything was impeccably executed, and if there were any hitches Tzo Ai handled them before we even noticed them! Several guests (including some recently married ones) came up to us to tell us how flawlessly the event flowed, and all praised the planner. I would go on but for the character limit! You should definitely hire Tzo Ai! Deciding to work with Tzo Ai was the best decision for our wedding. She was everything we thought we might need in a wedding planner and more. Tzo Ai is calm, organized, gracious, and supportive. She makes everything feel easy. We did not realize how many things we’d have to do, how many options there would be, or how many decisions we’d have to make, let alone the timeline for each, but Tzo Ai masterfully guided us through it all. At each step, she’d ask for our thoughts, opinions, and preferences, and then provide numerous suggestions (along with relevant links). With each option, Tzo Ai included her thoughts regarding and experience with each, and (always) offered to provide more options if we wanted something else. She always kept us on schedule and reminded us of deadlines without nagging or being a nuisance. Tzo Ai’s organization, care, and thoughtfulness limited all of the stress of wedding planning. Tzo Ai was also very receptive to all of our ideas and suggestions and worked hard to make the wedding our own, accommodating all of our small detail changes and twists with ease. Tzo Ai thought of every last detail, including many we had not even considered. She was incredibly responsive to all of our questions, answering our emails almost immediately and served as an excellent liaison to our vendors before, during, and even after the wedding. Tzo Ai was instrumental in helping us have the wedding of our dreams, and we highly recommend her. When my fiancé and I got engaged we had already been together six years and so we planned our wedding in six months. Neither of us could have imagined doing this without Ang Weddings & Events. Working with Tzo Ai was such an enjoyable process. She is a wonderful person and consumate professional who clearly loves what she does. She cares deeply about her clients and strives for excellence on every level. Tzo Ai helped us secure an incredible team of vendors and she coordinated everything down to the detail and to the minute. Tzo Ai was caring, warm, supportive and collaborative from the moment we had our first meeting. She has excellent taste and fantastic relationships with venues and vendors. It was evident how much her colleagues trust her and enjoy worthing with her. We were always in her good hands. Tzo Ai helped us to manifest the wedding of our dreams and because she took such excellent care of us and of all the details, we were able to enjoy every minute of our planning process and the wedding itself. I highly recommend her and her team. Tzo Ai was a pleasure to work with from start to finish. She helped recommend some fantastic vendors and was extremely organized and proactive throughout the planning process. She was also exceedingly professional, calm and pleasant to be around! I would highly recommend her services to any couple planning a wedding - there are SO many moving pieces and a planner can help you really enjoy your day without having to think about logistics. Our day could not have gone more smoothly and I absolutely credit that to Tzo Ai and her wonderful day of assistants! Tzo Ai both helped us plan an amazing wedding that all our friends and family couldn't stop talking about and made our wedding (and planning process) run smoothly so we could focus on having fun. She did a great job recommending vendors, especially when we had something particular in mind. Since we married in NYC, I would have been lost amid the sea of possible vendors, so I'm glad I had Tzo Ai to point me in the right direction. We had a hard time picking an officiant, with somewhat odd specifications, and she found someone who fit the bill perfectly. When we needed advice on color schemes or RSVP card wording, she always had great advice and would often raise helpful points we hadn't even considered. The week of our wedding, a relative changed her RSVP from 'no' to 'yes,' and Tzo flawlessly coordinated everything with the caterer and stationer to accommodate the last minute addition. On the wedding day itself, she and her assistants ran everything very professionally, and we didn't have to worry about a thing. Overall, my husband and I are so grateful that we had Tzo Ai to guide us through our year of wedding planning, and we are so happy with the result! The fact that our wedding is over, and I don't have any additional grey hair proves that Ang Weddings was a life saving choice for me and my husband. Neither of us really knew anything regarding weddings, so of course we had no idea what we wanted. Tzo Ai not only sparked our creativity throughout the process making our wedding one of the coolest and most unique experiences for our guests, she also kept us sane. I never knew everything that went into planning such an event, and there's no way we would have been able to keep track of every small detail without Tzo Ai. Not only was she helpful and pleasant, but she was also extremely organized, never letting anything fall between the cracks, and remaining calm throughout the entire process. God only knows how it would have turned out had we attempted to plan everything ourselves. Our wedding was truly unique and beautiful, and we owe most of that to Tzo Ai. She guided us through the process helping us figure out what we wanted as well has helping us achieve an evening of perfection. Ang Weddings and Events was the best investment my fiance and I made as we prepared for our wedding day! Tzo Ai was such a pleasure to work with throughout our eight and a half month long engagement, and we knew that our complex celebrations would be in great hands with her expertise. We had a multi-cultural (Indian and Chinese), two-ceremony (Hindu and Catholic) wedding with over 200 guests in New York City on October 4th, and my fiance and I approached Tzo Ai in January entirely clueless about the process. She expertly guided us to excellent vendors that matched our stylistic preferences, and we knew that we could always trust her to create an elegant event for us. Tzo Ai's organization and responsiveness are top-notch; early on, she drafted a timeline to fit all the celebrations in smoothly, and she helped us nagivate all of our extra moving parts and additional vendors seamlessly. Moreover, we really appreciated Tzo Ai's professionalism, particularly with how she effortlessly managed opposing opinions and ideas from our families, and was able to help us execute on a very tasteful concept that appeased everyone involved. The day of the wedding presented logistical challenges, but everything went smoothly thanks to Tzo Ai. Although we experienced heavy rain, unexpected traffic and road closures delaying our first look pictures, and a prolonged Hindu ceremony that shortened the amount of time Tzo Ai and her assistants had to change the room over for our Catholic wedding ceremony, the team was so well prepared and organized that the whole day was seamless and we were able to relax and enjoy the day. And the execution was flawless! She delivered us a wedding more beautiful than we had had envisioned, and we really could not have done it without Tzo Ai. We absolutely loved working with Tzo Ai, and would highly recommend the services of Ang Weddings and Events too all couples in the planning process! I got engaged and moved to San Francisco two days later, but being from Westchester and having lived in the city together for four years, my then-fiance and I knew we wanted our wedding to be in New York. We also knew we needed help, as the wedding needed to be planned during my first year in a new position at work. I couldn't have asked for more than Tzo Ai. She was easy to work with, articulate, incredibly organized, communicative (in sense of effectively setting/managing expectations), patient (with me), persistent (with vendors), and knowledgeable about all things/vendors/venues wedding, and had fantastic taste to boot, which made her someone whose opinion I could rely on. She was also professional and responsive around the clock, to a degree that would excel in the investment banking world, if that gives other prospective brides any comfort. Her demeanor is a wonderful combination of calming and take-charge; you know everything will be done exactly right if left to her. I loved her checklists, her timelines, and her budget, as well as every vendor to whom she introduced me. When I got too bogged down in the details and was having a hard time making decisions, she was incredibly helpful in reminding me of my initial reactions to various options and how different choices would fit together. If I hadn't known she was working with other brides, I'd never have guessed it; her service was always so personalized and prompt. And of course she pulled off a few mini-miracles, including seamlessly replacing my bridal car when our original vendor had an issue the day before our wedding and finding my favors on an errant FedEx truck the day of. Thanks to all of Tzo Ai's wonderful work, we enjoyed every second of our wedding day. Tzo Ai Ang did an absolutely magnificent job planning and coordinating our daughter’s wedding at Gotham Hall in New York City. She has impeccable taste, is extremely detail oriented and highly organized. Tzo Ai is delightful and charming and virtually eliminated the potential stresses of planning such an affair. She recommended vendors who were not only creative and talented, but like her, caring and wonderful to work with. We enjoyed her company from the early planning meetings, to multiple visits to the florist, through to the tasting dinners and the wedding day. Her entire team “day of” for the wedding itself was absolutely first class. My husband and I recommend Tzo Ai without reservation. Tzo Ai was beyond amazing and I can't recommend her highly enough! I am very organized and love planning things so my mom couldn't understand why I wanted to hire a planner -- but by the day of the wedding my mom was saying how she couldn't imagine how we could have done this without Tzo Ai! I hired Tzo Ai for month-of coordination and she exceeded my expectations in every way. She started working on my wedding a full two months out and she was extremely thorough, organized, calm and responsive. The day of the wedding was absolutely perfect! Everything was flawless and exactly as I'd imagined it. Tzo Ai made sure that everyone was running perfectly on schedule, so much so that we were actually AHEAD of schedule at times so we had room for extra photos! I cannot thank her enough for making our day so amazing! The BEST decision I made regarding anything wedding-related was choosing Ang Weddings and Events to plan my wedding. I hired Tzo Ai in early April to plan my July 19 wedding at the Plaza and I am still amazed that she was able to plan the most gorgeous and seamless event in only three and a half months! I am very indecisive, and my husband is an extremely detail-oriented perfectionist, and Tzo Ai was able to work with both of our personalities and deliver exactly what we envisioned within our strict budget. Tzo Ai's vendor recommendations were excellent; I wound up using everyone she recommended and I was so pleased on our wedding day to only be surrounded by the warmest, most professional experts who were truly a joy to work with. Tzo Ai’s organizational and communication skills were phenomenal. I was impressed by her responsiveness; she would often respond to my emails and phone calls within minutes, even on Saturday evenings. I truly felt like I had someone that was 100% dedicated to me, the entire time I worked with her. Tzo Ai’s team was exceptional on the day of the wedding. They were able to keep a perpetually late, disorganized, huge Indian family on schedule, which is a daunting task. I considered Tzo Ai akin to a magician on the wedding day. She was prepared for every little thing, even the unexpected, and throughout the reception, it seemed as though any time I needed her she suddenly appeared and fixed everything, instinctively. The entire day went by perfectly, without any issues (or if there were any, they never materialized to me or my family, because Tzo Ai took care of everything). Finally, Tzo Ai exudes elegance, warmth, and grace. I truly looked forward to every phone conversation and meeting, and I always left feeling confident that my wedding was left in the very best possible hands. New York Public Library requires a planner, so I went through every single listing in the New York Magazine. I wrote to all of those that had impressive websites (dozens!) and Tzo Ai was clearly the best. Where everyone else wanted to dance around, collect more information or just didn't respond - Tzo Ai promptly provided everything I needed to make a decision. She has been on call every moment since, always quickly responding to any e-mails from me or from vendors. She is completely on top of the logistics, which are very complicated at a space like that. I feel extremely fortunate to be working with Tzo Ai. She couldn't possibly be more helpful. She not only has great ideas, but respects the vision my fiance and I have (not always the case with planners I noticed, as many think as the experts they should tell you what to do). Anyway, it has been an absolute pleasure working with her. Bringing Tzo Ai on was the best decision I made in this entire process and I really can't say enough good things about her. Working with Tzo Ai is an absolute pleasure and I highly recommend her to brides who are looking for the BEST! Tzo Ai Ang of Ang Weddings and Events is extremely professional, diligent and attentive. I highly recommend her services. Tzo Ai is very organized and calm; both of which are incredibly invaluable traits to have in a person helping you plan and execute a wedding. My wedding was approximately 250 guests, took place in Manhattan and had many 'moving parts', so to speak. There were different activities for guests to partake in after the ceremony and before the reception which required everything run smoothly. Tzo Ai made sure everything went exactly as planned which was no small feat! My wedding day was the best day of my life, I had so much fun and didn't have to worry about anything. The piece of mind that comes from hiring Tzo Ai is invaluable. She was there for me through every step in the process, from trying on wedding gowns to choosing paperie to handling transportation, making up all the contracts with the vendors and keeping track of what had to be done. I think it's really hard to find someone as good as Tzo Ai in a sea full of wedding professionals....luckily she came with the highest recommendation to me and now having worked with her I can pass on that recommendation to other brides: She is indeed the best! Hiring Tzo Ai was simply the best decision we made in our planning process. She was a pleasure to work with and be around throughout the wedding process. She recommended excellent vendors that we would otherwise have never heard of and she always knew how to solve any thorny issues that emerged. Me, my husband and my parents were able to relax and enjoy ourselves on our wedding day because we knew that everything was under control. If that isn't the best investment on your wedding day, I don't know what is! Hiring Tzo Ai Ang was the best decision we made in planning my daughter’s wedding. As soon as we met her, we felt at ease, and knew that she was the right event planner for us. We hired her for the “month of” coordination, but we were pleasantly surprised when she joined us at vendor meetings more than eight weeks before the wedding. I wanted to write this review using a Pros and Cons format, but there are absolutely no “Cons”. Except maybe on our part, for not using her services from day one! Tzo Ai has the perfect combination of people skills, organization and experience necessary for planning an event that involves diverse personalities, stress, numerous vendors and countless details. She is calm, poised and professional and her elegant and warm demeanor inspires trust. She was on top of every little detail, gave us great suggestions, and no matter when I texted or emailed her, a response would come within a few minutes. We were all so much more relaxed after she came on board, confident that everything would fall into place. And everything did- Tzo Ai helped us plan a flawless, fairy tale wedding - I would not hesitate to hire her again! I honestly cannot say enough good things about Tzo Ai and would highly recommend her to anyone getting married. After my fiancé and I got engaged, I started planning our wedding pretty much immediately. I had a very clear vision of certain things that I wanted and the rest of it fell into place relatively seamlessly. I had toyed with the idea of hiring a wedding planner, but it didn't really seem necessary to me since I had enough time, energy and resources to plan it myself. However, the more I thought about the actual months, weeks and days leading up to the wedding and the wedding day, it became clear that I needed someone (a professional) to help me get everything in order (there's so much more to be done than you initially realize). My goal was to find someone who was responsive, detail-oriented and organized and someone who meshed well with my personality -- and I found all of that and so much more in Tzo Ai Ang. From the minute I began exchanging emails with Tzo Ai to our first meeting, it was clear that she was above and beyond the best person to work with. She's incredibly responsive, more organized than I could have ever wished for and very sensitive to all of the messy things that may come with planning a wedding and joining two families. She worked extremely well with all of our vendors and it was clear that everyone enjoyed being around her (including me). Our wedding day was just the most perfect day I could have ever imagined -- it suit us as a couple, went incredibly smoothly and was completely relaxing and fun -- and a HUGE part of that had to do with Tzo Ai. I cannot thank her enough for all that she did to make sure it was the perfect day for us or recommend her enough to everyone I know getting married in the future. You will not regret going with Ang Weddings & Events for your wedding -- whether it's for full-service planning (it's clear that Tzo Ai has an incredible eye for design and detail) or month-of coordination. Hiring Tzo Ai was the best decision we made! She is an incredible wedding planner-- organized, calm, professional and patient. My wedding day went off without a single hitch, and everything ran according to plan. Any bride would be doing themselves a huge favor by hiring Tzo Ai, she's fabulous. I had a blast at my own wedding... which I was told would be impossible, too much stress and too many things to worry about. No so with Tzo Ai, I was able to be present at my wedding and really enjoy every second without worrying about my vendors. I wish I could hire her and do this all over again! Both of our loving parents are very frugal and/or hyper-OCD-critical, yet they admitted that booking with Ang Weddings was an absolute blessing! Book Ang Weddings before you start anything! We did for the full-year of planning, and our wedding was the happiest day! 1) By booking with Ang Weddings from the get-go, all of our vendors and style choices were harmonious and elegant. We had 300 guests, and every single guest complimented on the elegance of the wedding-even men! Elegance with 30 guests, kinda doable...black-tie event with 300 guests? not easy, but she did it so calmly and perfectly. 2) Tzo Ai handled all the worksheets, detailed questions from vendors, and multiple contracts thoroughly and always kept our values and interests in mind. She knows what to look out for to protect your interests (e.g., my privacy requests) and style choices. 3) We value efficiency because frankly, who's got the time in NYC...and Ang Weddings gets it all done efficiently. Because of her extensive experience and thoughtfulness, she provided excellent advice on everything- flowers, musicians, fonts, what to write for wedding paperie, and even tackled tough etiquette questions! I hope this review is helpful, because I wish I saw a review from a bride-like-me. I did not dream of weddings as a girl nor did I have a Pinterest account. Tzo Ai saved us a lot of time and a lot of stress. I could keep my corporate attorney day job, and we pleased not only hyper-critical family members, but also strict kosher meal requests, strict vegetarian requests, and our request to include our dog in the wedding, all the while keeping the event FUN. On top of it all, Tzo Ai is kind and most thoughtful, and an absolute confidant. My father was really ill and it saddened me lots that he wasn't able to be with me on my wedding day...meanwhile I was getting crazy questions from all sorts of people. Tzo Ai reached out her hand and her ear. She truly is a blessing. Best of luck to all! After realizing we needed someone to assist with planning our wedding, our search landed us to Ang Wedding's and Events. This was single handedly the best decision we made during the entire planning process. We had a unique situation of planning a wedding in New York City from Los Angeles and Tzo Ai helped us every single step of the way. She customizes her services to the requirements of each couple and always goes the extra step to make sure her clients are assured and satisfied. She is extremely thorough, detailed and her experience dealing with numerous vendors has helped us out of some difficult situations. Tzo Ai was always a telephone call or email away, often answering our emails late into our evening, despite our time difference! Although she did an exceptional job during the planning process, her true brilliance shined during the day of the wedding. Her and her assistant, Lauren, were 100% committed to making sure our special day ran as smoothly as possible. Their calm demeanor kept hiccups seem like nothing. They work tirelessly behind the scenes and they proved their value time and time again. 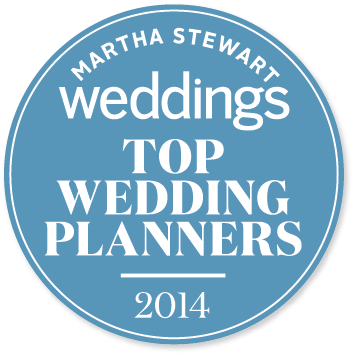 If you're on the fence with deciding which planner to go with, the decision is easy, go with Ang Weddings and Events. Our photographer had mentioned it might be helpful if we decide to hire a last minute month of coordinator, and let me just say, that was probably one of the BEST decisions we made. The next best decision was going with Ang Weddings and Events. Tzo Ai and her team were incredible. We were hesitant at first, thinking how hard can the logistics be - but when we had our first meeting with Tzo Ai and she started asking us questions we realized, "wow. we never thought of these things..."
Our day went off without a hitch. I often had friends telling me "Something WILL go wrong. Just roll with it." Well, aside from a difficult family member which was out of Ang Wedding's control, I can honestly say NOTHING went wrong (that we were privy too). Am I the first bride in history to say that? Who knows! What I do know is, I put complete trust in Tzo Ai as far as execution, design, set up - I DIY-ed a TON - and our venue was more beautiful then I could ever imagine. And as far as the logistics of the day, I had Tzo Ai with me every step of the way. She has this calm, quiet, angel in disguise demeanor and moved things along beautifully -- but never in a pushy way. I realized quick I could have never done it without her! What bride wants to worry about timing? Brides should just sit back with a mimosa and enjoy the day. I'm not sure how I would have managed to pull off our wedding without the amazing help and guidance from Tzo Ai. I don't think I've met a more organized, responsive, resourceful, and pleasant person. Tzo Ai always responded right away to all of my questions. She recommended great vendors when I was in need of suggestions. She also had great advice anytime I needed to bounce an idea off her. She was always super prompt for all meetings and her level of organization is unparalleled. But most importantly, the day of the wedding went so smoothly - I didn't have to lift a finger. Everyone kept telling me that no matter how much you prepare, something always goes wrong the day of the wedding and to expect it - but that never happened and I'm convinced it's because of Tzo Ai. She was such a pleasure to work with and hiring her was probably the best money we spent on our wedding! I'm a groom. The fact that I am providing feedback in itself should tell you how good Tzo Ai Ang is at what she does. My wife and I hired Tzo Ai for a month's worth of planning. During the time before the month arrived, Tzo Ai was very responsive when we had questions and also was very helpful with ideas when we needed suggestions. Well before the month began, Tzo Ai sprang into action. A year prior to the wedding, she joined my wife for a walk-through of the venue. She also made sure to highlight important points that we needed to focus on in the months prior to the wedding. My wife is very organized, but Tzo Ai used her breadth of knowledge to take things to a higher level. Her attention to detail shined in the weeks leading up to the wedding. She kept us focused on all of the important details. A crucial aspect for us was how well she handled problematic vendors with ease. When our wedding day came, Tzo Ai and Lauren were a delight. I've been to several weddings where the coordinator was overbearing, which made the event laborious. Tzo Ai was calm, focused, and was always immediately responsive when we needed something. She even was able to quickly fix a family member's wardrobe malfunction. The event went so smoothly because of her excellence in management and coordination. We couldn't recommend her more highly. Tzo Ai's soup-to-nuts planning services exceeded my expectations. She is well-connected to a wide range of fantastic wedding vendors, so I was able to choose those which were the right fit for me and my wedding. She is unbelievably responsive, and super organized! These qualities (and more) made me so confident in her that it took away all the stress of the wedding planning process. I actually found the process quite fun!... Many many thanks to Tzo Ai! We hired Tzo Ai for our October 2012 wedding to do month-of-coordination and consult on the event design. She was one of the first people we hired, and one of the best wedding planning decisions we could have made. I cannot recommend Tzo Ai highly enough. She is professional, organized, analytical, and knowledgeable. (My husband especially appreciated her ability to translate the “wedding world” into plain English for us). In addition, she is unfailingly warm, enthusiastic and accessible – my emails were answered immediately and I felt like she was always available to talk through an issue, a decision or an etiquette question. Tzo Ai made us feel like our wedding was her number one priority throughout the entire planning process, not just the month of. In the planning phase, she helped me brainstorm the overall design of the wedding and consulted with me on the florist meetings and paper products. Her recommendations were invaluable (her pitch perfect recommendations lead to our photographer, florist, makeup artist, invitation source…) – we were thrilled with everyone we worked with for the wedding, and without Tzo Ai, sifting through the various vendors would have been much more difficult. She helped us to form our vision for the wedding, and we couldn’t have been happier with how the big day turned out – the event radiated warmth, elegance and love, and we had a wonderful time. On the organization and coordination front, she was outstanding in every regard. From the outset, Tzo Ai inspired the utmost confidence. It was very easy to trust that she was handling the month-of details – from getting our final count to our venue to setting out our favors and running our rehearsal, from giving us checklists, timelines and the getting-ready schedules, she took care of everything. As a result, we were able to sit back and enjoy all the events leading up to the wedding and the big day itself. Simply put, Tzo Ai is exceptional. Hands down one of the best decisions we made in our wedding planning was hiring Tzo Ai and her team. I am a hands on person and wanted to be able to relax and enjoy my wedding day and the weeks leading up to it. Tzo Ai and her team member Lauren made sure every detail was perfectly executed with amazing calm and grace. We really cannot thank you enough for everything. You made what could have been a tough situation into a minor blip. Your ability to move our wedding in 6 days is amazing. We really enjoyed working with you and will highly recommend you to our friends. Thanks for everything. On a scale of 1 to 5, Tzo Ai Ang is a 10. The rating system above does not do her justice. She gave us excellent recommendations for vendors for the wedding cake, makeup, party rentals, and other vendors. Whenever we emailed her with a question, her response was almost instantaneous. She was always willing to take on any task. She made lists of everything that needed to be done, and followed up to make sure they were done. She was on hand during the wedding and reception, and at the disco party we held later in the evening, to make sure that everything went perfectly. And she had assistants to help at the wedding events who also were wonderful and great at getting things done. She enabled all of us, the bride and groom, and my wife and I (the parents of the bride), to thoroughly enjoy ourselves because we had confidence that every detail was under control and being looked after by Tzo Ai. We would enthusiastically recommend her services. I hired Tzo Ai as my day-of coordinator for my wedding in NYC last month and couldn’t have been happier that I did. In the couple of months leading up to my wedding, she confirmed and made any necessary changes needed with my vendors. She was aware of every single detail of my rehearsal, ceremony, and reception. She was ALWAYS available and quick to respond to any emails or calls. If I had to summarize why I would 100% recommend her as a coordinator of any kind whether day-of or full planning, it would be that: a) she goes over and beyond the duties for which she is hired; b) she is by far the most detail-oriented person I have ever met and does not let a single thing fall through the cracks; c) she is extremely professional and calm; d) easily rolls with the punches and is able to quickly address any issues that arise. I can’t say enough how grateful I am to have hired Tzo Ai. Because of her, I was able to truly enjoy my wedding and not have to worry about a single thing. I have no doubt that anyone who hires her will feel the same way. I cannot praise Tzo Ai enough! We moved to Paris shortly after getting engaged, so I knew that I would need help planning a wedding from afar. After meeting her, it was clear that I had found someone as detail-oriented as myself that I could fully trust to execute my vision of our wedding day. She went above and beyond my expectations: she was super responsive to my 3am EST e-mails, accompanied me on multiple walk-throughs of the venue, and even helped my godmother find the perfect spot for our day-after brunch. I expected to be nervous the morning of the wedding, but I found I wasn't since I knew she would take care of anything and everything. My vendors have unanimously reported back that they loved working with her, and my mother can't stop talking about how wonderful she was. Kudos to Tzo Ai and her team for making our wedding day stress-free and amazing! I hired Tzo Ai three months before my wedding and she proved to be an ideal event planner – smart, patient, organized and tasteful, with great attention to detail and an impressive ability to remain calm under pressure. She was flexible and generous with her time – I had numerous meetings with her individually as well as with vendors – and she was always early and perfectly prepared. She had great rapport with all my vendors but was, at the same time, a strong advocate for what I wanted, whether it was with an impatient florist or a skeptical seamstress. Most importantly, she is a dependable, hard worker who can execute a complicated plan five months in the making down to the minutest detail and without breaking a sweat. My outdoor ceremony and reception, which were in separate areas, took a great deal of preparation and coordination – 16 different vendors -- and thanks to Tzo Ai everything went smoothly. She is a big reason why my wedding turned out to be so beautiful and memorable. I feel lucky to have found Tzo Ai and have no reservations in recommending her to any bride! Tzo Ai is the best wedding planner a bride can have. I hired her for the month of planning. I'm not a detail oriented person, so I enjoyed my part as the bride of picking out my dress, venue, menu items, cake, and designing my invitations. For the rest of the nitty gritty details, I let Tzo Ai manage and coordinate. Although I hired her for the "month of" planning, Tzo Ai made herself available throughout the planning process. Anytime I had a question or needed recommendations for vendors, she was just an email or call away, and her response time was very prompt. She also started planning the wedding and contacting the vendors well ahead of the one month point. In addition, she volunteered to come with me to my dress fitting, so she could learn how to bustle my dress. Aside from being a great manager, Tzo Ai has an eye for style. She really got the look that I was going for and recommended vendors that provided the style I was trying to create. On the day of the wedding, she was a calm presence, efficiently making sure everything went smoothly. Tzo Ai even had a plan B for the 20% chance of rain that I was so concerned about and never happened. All my vendors reported back that they loved working with Tzo Ai. My makeup artist even made a point to say that she had never worked with someone who was so prompt, organized, and pleasant. She was more used to planners that are divas and barked orders at people. Hiring Tzo Ai was the best decision I made in this wedding planning process. Knowing I could trust her to make sure everything went accordingly, allowed me to really relax and enjoy my special day. First of all, I never write reviews for anything. But for Tzo Ai and her team I feel like this is the least I can do for making my wedding day the most special and memorable day of my life. Throughout planning Tzo Ai was patient, calm and attentive. She answered/ listened all of my stupid questions and worries, coordinated with 2897174 vendors as my venue was a raw space (The Foundry LIC). She literally had the day planned by the minute. And to a control freak like me, she is a gift from god. On the wedding day she arrived with two of her (beautiful) assistants and made sure everything was perfect. Even my fiance, now husband, who was opposed to having a planner in the beginning said hiring Ang Weddings was the best thing I did. Do yourself a favor and hire Tzo Ai for a perfect wedding day!!!!! I hired Tzo Ai as my "day of" wedding planner. I could not be happier with the service she provided. Tzo Ai is such a nice and polite person and is an incredibly hard worker. Thanks to her I was able to fully enjoy my wedding day and the weeks leading up to it. She knew all of the details and helped me coordinate everything from my rehearsal, to the wedding and the after party. Truly incredible! Tzo Ai provided much more than just the "day of" planning. She began reaching out to my vendors a month before the wedding, which let me relax and enjoy the last weeks of my engagement. It was so great to have her help, I only wish I had hired her sooner! I fully recommend her to anyone looking for a wedding coordinator. My entire family loved her and she made sure to take care of not just me but my mom, aunts and bridesmaids to make sure that everyone was happy and comfortable the day of the wedding. Even the smallest details like having nail polish for when my nail chipped and carrying chalk to color over any spots on my dress before the ceremony, she is the best! I hired Ang Weddings and Events for our big day last month - and I have to say, that decision was the very best one I made while planning my wedding! Tzo Ai is the consummate professional - on the ball, creative, energetic, and trustworthy. Being a financial analyst with limited time, I felt fully confident leaving many of the details in Tzo Ai's hands, as I knew that anything I sent her way would be well-executed and accomplished with care. My wedding had the added complication of being out-of-state (in California) - Tzo Ai took the challenge in stride, and was so well loved by my vendors that my site coordinator jokingly asked me if there was any way I could talk her into moving to Los Angeles! Also, on the day of the wedding, Tzo Ai was so well prepared that when my dress strap unexpectedly snapped, she immediately pulled out a needle and thread, and had me back on the dance floor in no time. I know that my wedding day went off without a hitch thanks to Tzo Ai, and I highly recommend her to anyone looking for a wedding planner. Coming from a large family (I am the youngest of six and my husband the youngest of five); I never thought I would need or want a wedding coordinator. I mean with all those people, surely we would have so much help but when we started looking over the events of the day and all the details, all I could think about is how in the world can you do all this AND be relaxed AND have an amazing, fun wedding day. Although I didn’t know exactly what a wedding coordinator did, I thought it was worth looking into and could not be happier to have found Tzo Ai! From the very beginning she put me and my Mother (which is hard to do) at complete ease! She is extremely professional, polite, detail orientated and just overall fun to be around. From the hotel to the Church to the reception, she helped get me organized and made sure that all I had to worry about the day of the wedding was having fun. Every one of our vendors went out of their way to say what a pleasure it was to work with her. As our band e-mailed us after the wedding, “Tzo Ai was fantastic! She was professional, kind, and accommodating.” If you are looking for someone to not only help you with your wedding, but someone who will do it with the highest level of professionalism and class, then I highly recommend hiring Tzo Ai! Our wedding would never have happened without Tzo Ai. Almost 3 years into our engagement, we only had a wedding date. Obviously this wasn't a priority for us, but we wanted to throw a fabulous event nonetheless. Tzo Ai researched and priced all vendors (venues, flowers, photographers, make-up, calligrapher, paper goods, etc...) taking our ideas, preferences, and budget into consideration the entire time. She presented the choices and we picked the ones we were interested in. Even though we were operating under a fairly aggressive timeline, she didn't pressure us to decide. She arranged and was present in all vendor meetings and negotiated contracts on our behalf. Throughout the process she stayed on top of every loose end. On the day of the reception, in the worst October weather in New York City in 200 years (thundersnow!? ), Tzo Ai was a calming force. Everything turned out as we hoped -- except the weather but only because Tzo Ai had no control over it. We hired Tzo Ai as the "day of" coordinator for our daughter's wedding in Manhattan. That was the best decision we made for the wedding. She did far more than "day of" coordinating. She was the single most important reason that we were able to enjoy the wedding. We were completely confident that she would see to it that everything went as planned. There was no stress, we were actually guests at the wedding too, not hosts running around checking everything and fussing over details. After we decided on our vendors and had our contracts, we sent Tzo Ai our contracts and then she took over all the responsibility to see that everything went as planned. She did all the communication with the vendors and had an amazing time line for the day to see that everything went smoothly. Anytime an issue arose, all we did was contact Tzo Ai and she solved it. At first, we questioned whether or not we needed a coordinator, since we had already chosen our vendors. But you have no idea all of the details involved in wedding planning! Tzo Ai thought of things that had never occurred to us and she was prepared for anything. It was the best value of any money we spent for the wedding. We couldn't have been happier with the wedding, you were amazing! We can't thank you enough for all you did for us, the day went so smoothly, I'm certain that was thanks to you! I'd be happy to refer you anytime. Thanks so much for everything!!! We live overseas and hired Tzo Ai for our wedding in New York, mostly for day-of coordination. She went above and beyond our expectations - she was always available, responsive to emails seemingly at all hours of the day, and was meticulously organized. She was never late to a meeting, was always perfectly prepared, and anticipated needs that we didn't even know we had. She took the initiative to contact our vendors directly and made sure the whole process went smoothly and is not afraid of doing even the little things herself to make sure they're done right. We would highly recommend Tzo Ai for any event planning needs. My husband and I, two very busy and disorganized procrastinators, hired Tzo Ai and man were we glad we did. She met with us several times prior to the wedding and treated us with the utmost professionalism each time, and she always answered our emails promptly. She worked tirelessly to make sure our wedding was perfect. She kept track of how much we owed and to whom, she asked us about details of the wedding we didn't even know we had forgotten to plan, she negotiated problems that arose with our vendors, and she had a meticulous timeline in place for the day of. The forecast was 60% rain (outdoor wedding), and though it ended up not raining, Tzo Ai had prepared and was ready to implement a Plan B for us just in case. On our wedding day, our family was able to relax and enjoy the day 100%, not needing to think of any details since she had them all covered. I would recommend Tzo Ai with no reservations whatsoever! Tzo Ai was instrumental in planning our wedding from the day we got engaged to the day we got married. Given that our wedding had both chinese traditional component and western component, the wedding was an intensive whole day affair. Tzo Ai made sure that each part of the wedding went as planned. We had a great time at our wedding and we attribute that in no small way to Tzo Ai's masterful planning. We had a relaxed and fun wedding and we are really thankful for everything she did for us, in particular, peace of mind. She is efficient, calm, tasteful, detail oriented, professional and friendly. She is like an oasis in any wedding chaos. We highly recommend Tzo Ai. We approached Tzo Ai to help with certain aspects of planning and organising of our wedding and we were incredibly impressed by her professionalism, dedication and insight to make sure the special day went as smoothly and as wonderfully as possible. We are especially grateful for her advice during the planning and above all, her cool headed presence to keep us calm on the day! The day really flies by and having someone on hand to oversee that things tick over smoothly is invaluable. From the planning stages through to the actual day, she was always on hand to offer her suggestions and isn't afraid to voice her opinions from a knowledgeable and understanding perspective. On the preparations, we took her advice about numerous suppliers - little insights such as what personal touches for decorations would work well with our set up and so on, which only a really experienced planner would be able to provide. On the day, she made sure all the logistics ran smoothly, was on hand to liaise with the suppliers, the venue and toastmasters so that everything from timing of key events, payment, queries from suppliers to positioning of decorative items were all taken care of discretely and without our involvement so we could really enjoy the wedding. I would have absolutely no reservations in recommending her company to friends. Having an experienced planner like Tzo Ai really adds to the depth of the wedding and makes sure things run smoothly on the day, provides the voice of experience when you really need some reassurance that things will work out fine! My daughter was married last month and it was an elegant affair! Everything went beautifully and my daughter can be very proud of her vision. One aspect of the wedding that took me by surprise was the fact that she enlisted the aid of a wedding planner. I was not really sure whether or not we needed a wedding planner since both of us tend to be organized. However, now that all is said and done, I must admit that having Tzo Ai on our team made life a lot easier. It is amazing how many details there are to remember when it comes to planning a wedding, especially during the event itself. Tzo Ai was invaluable in keeping us informed as to correct protocol, on helping us to confirm dates or orders with the various vendors, on helping us to find needed professionals (such as a talented make-up artist), and especially in coordinating a timeline for the rehearsal dinner and the wedding day itself and making sure that all went according to plan. Because of Tzo Ai's expertise, we were able to focus our attention during the actual celebration on enjoying each moment and interacting with our family and friends, not on worrying about details. Since then, I have received positive feedback from both the coordinator at the reception site as well as the florist concerning Tzo Ai's professionalism and helpfulness. It is with gratitude for a job well done and much respect that I recommend Tzo Ai Ang as a top-tier wedding planner!